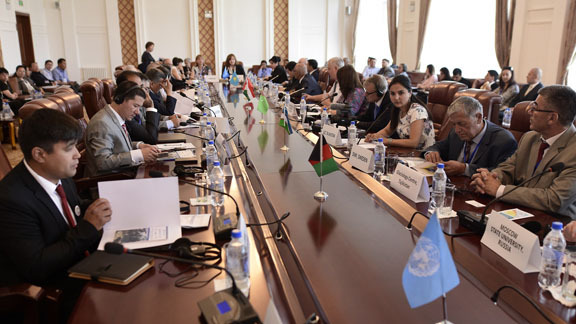 Last week, from 19 to 22 June 2018, High Level International Conference on the International Decade “Water for Sustainable Development” took place in Dushanbe, Tajikistan. In 2016, the United Nations General Assembly proclaimed the decade 2018-2028 as the International Decade for Action “Water for Sustainable Development”. The Conference was organized to mobilize efforts of the governments, UN institutions, international and non-governmental organizations, as well as other stakeholders for effective implementation of the water-related SDGs as well as objectives of the Water Decade. 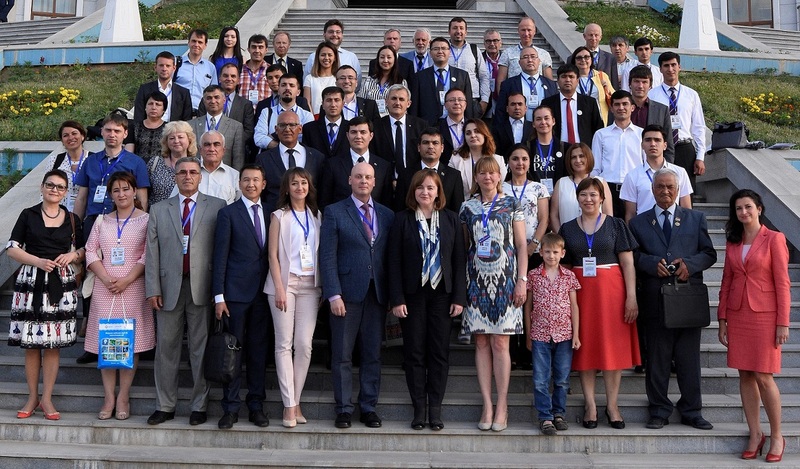 The UNESCO Almaty Office contributed to the successful implementation of the Conference with organization of a preconference forum on Climate and Water Dialogue. The forum was organized on 19 June 2018 jointly with the United Nations Regional Centre for Preventive Diplomacy for Central Asia and in cooperation with the Committee for Environmental Protection under the Government of the Republic of Tajikistan, Swiss Agency for Development and Cooperation, University of Central Asia, Mountain Partnership and the Finance Centre for South-South Cooperation (China). The Forum was attended by more than 100 people, including government officials, representatives of academia, international organizations, development agencies, civil society and youth. Achieving and maintaining water security is increasingly challenging under current climatic variability and projected climate change, especially in vulnerable areas such as mountainous and arid regions. Global climate change is accelerating glacier melting processes in many regions worldwide, which will have significant effects on the large regional populations. Besides, lack of monitoring and modelling, as well as limited data on key cryospheric and hydrological processes make accurate estimates of climate change impacts extremely challenging. This Forum helped to identify pathways to integrate the science-based understanding of climate impacts on water security into mitigation and adaptation policies, and enhance water and climate dialogue at various levels. It provided a platform to share knowledge, best practices and ideas on sustainable water management in the context of climate change and in line with the Water Decade. The event also focused on strengthening partnerships and joint actions to address water-related issues through enhanced cooperation. Recommendations of the Forum were announced during the first day of the Conference. The participants of the Forum highlighted the importance of mountains in Central Asia as water towers of the region and recognized that glaciers melting pose threat to water security at the national and regional levels. It was emphasized that baseline data on climate, cryosphere and water runoff changes is often weak or non-existent; therefore, climate change adaptation strategies are often built on not sufficient data and research. The participants agreed that it is crucial to enhance science-policy interface and education, knowledge and capacities through promoting research and capacity development activities in the region, fostering dialogue and networking among scientists, policy makers and practitioners in the field of climate and water. UNESCO with its International Hydrological Programme is very well placed to provide with a platform for enhanced cooperation. It was also noted that there is need to develop new attitude “no more business as usual” to bridge climate and water issues by further strengthening communication between multi-stakeholders using a participatory approach and by identifying priorities, capacities and funding needs. The participants of the Forum committed to enhancing collaboration and synergies among various activities in water and climate sectors for better achievement of water related goals.